"Out damned spot! ", "Twas a rough night" and "A little water clears us of this deed" - three of many classic quotes from one of literature's most enduring plays. Shakespeare's Macbeth remains one of the Bard's most exciting and familiar works and still attracts fans from across the globe, particularly when a new production appears on the scene, be it opera, film or, in this case, a play. And not just any old play - an Olivier Award-winning director's version, no less. 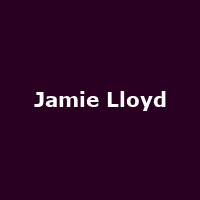 Jamie Lloyd, who has won countless awards for theatre productions such as The Pride, Passion and Piaf, is the latest director to tackle what will be the first in a season of Lloyd's work at London's Trafalgar Studios. For his leading man, he has chosen wisely - James McAvoy. The actor is most familiar for appearing in Atonement, The Last King of Scotland and Danny Boyle's forthcoming Trance, but has also previously performed in Macbeth for which he won a BAFTA for his performance in 2006. This new production not only heralds McAvoy's reprisal of this key role, it will be the Scot's first stage appearance for four years. Macbeth will begin its run on 13th February 2013 and continue until 27th April 2013, although a preview show for 9th February has already sold out. Tickets for all the remaining shows will cost from £24.50, rising to £65 for top seats. The play, which centres on the Scottish lord's obsessive ambition for power and his decision to use evil to fulfil his dreams, is likely to be a sell-out. Jul 2015:Special Offer: The Commitments West End tickets for up to 60% off!